Southwest Airlines is running into hard times in the market at the moment, and it’s a bad time to have these struggles. The reality is that the majority of the airlines industry is doing well at the moment thanks to the concept of prolonged low oil prices. However, LUV recently released reports with regard to revenue expectations for the current quarter, and those expectations are anything but what investors want to see. Today, we’ll talk about revenue expectations, how the market is reacting and what we can expect to see from LUV moving forward. 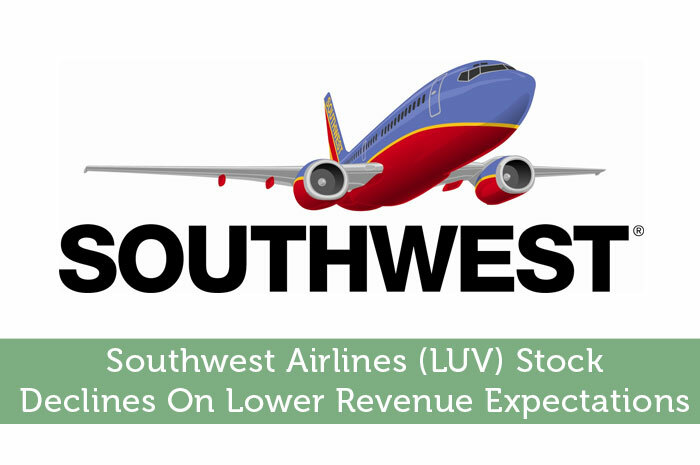 Southwest Airlines is feeling the pressure at the moment with regard to expected revenue in the current quarter. While there has been positive news released with regard to encouraging November traffic, Southwest simply isn’t feeling the positive. As demand has improved for airlines, Southwest has been forced to improve capacity to accommodate the high demand. So, they have done so, and it has been incredibly effective. As a result, investors expected that the improved capacity would lead to incredible revenue growth. Nonetheless, the report released today showed that the higher capacity isn’t producing the amount of revenue growth that investors were hoping for. Because of the cost of growth, LUV is expecting that its operating revenue per available seat mile will come in between flat and slightly negative. As investors, history has told us that when bad news comes out with regard to a publicly traded company, we can expect to see declines in the value of the stock. That’s exactly what we saw surrounding the news with regard to Southwest Airlines. On Monday, the stock fell by more than 9% following the release of current quarter revenue expectations. As a result of the higher demand, LUV has been forced to increase capacity, and they have done so very effectively. As a result, while current quarter revenue expectations may not be so positive, Southwest Airlines now has more seat miles available for sale. Over the long run, this increased capacity is likely to lead to increased revenue and earnings. So, while current quarter expectations may not be up to par, LUV may be a great long term investment as the increased capacity leads to higher revenue down the road. Moving forward, I have mixed expectations with regard to what I expect to see from LUV. In the short term, I’m expecting to see further flat movement and declines. The reality here is that lower than expected revenue projections are never a good thing. These types of projections tend to strike fear in the hearts of investors, leading to declines. However, in the long run, I have high hopes with regard to what we can expect to see from LUV. The bottom line is that increased capacity takes time to fill, nonetheless, in the long run, the increased capacity is likely to lead to increased revenue and positive movement from the stock. Where do you think LUV is headed and why? Let us know your opinion in the comments below!